A public affairs account manager at Four Communications has won a place in City Hall as a Member of the London Assembly (MLA) in Thursday's London elections. 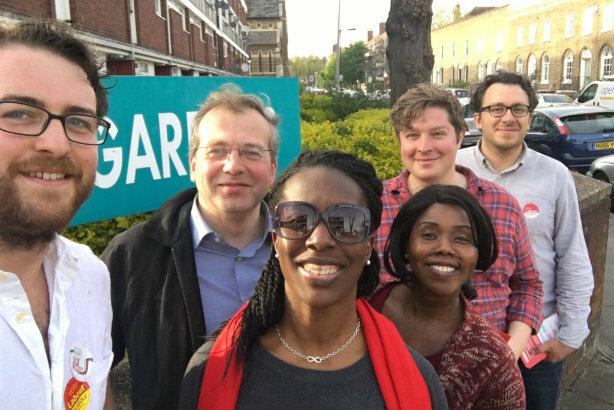 Florence Eshalomi was standing as a Labour Party candidate in the constituency of Lambeth & Southwark, and won with 96,946 votes – more than half of all votes cast and nearly treble the tally of the runner-up, Conservative candidate Robert Flint, who received 34,703 votes. According to her LinkedIn profile, she has also been a cabinet member in Lambeth Council and, prior to joining Four in 2014, was public affairs manager at race equality think-tank The Runnymede Trust. She told PRWeek she would leave Four, and expected the proposed Garden Bridge over the Thames, the redevelopment of the Nine Elms and Canada Water areas, and the extension of London Underground's Bakerloo line to be some of the major issues on her agenda. The final results of the London Assembly vote, and the confirmation that Labour's Sadiq Khan had won the race to be London Mayor, were announced on Friday evening. Eshalomi was the only one of a number of PR and marcoms professionals succesful in their attempt to be elected as an MLA. Of the two others standing in one of 14 geographical constituencies: Incisive Health associate director Amna Ahmad came third with 18,859 votes in Croydon & Sutton, which was won by the Conservatives; while Green Party press officer Roisin Robertson came fourth for the party in Bexley & Bromley, with that seat also a Conservative win. Others were named on their parties' lists for the other 11 non-geographical seats, but none were high up enough on the list to win a seat. Two media industry candidates were also unsuccessful - Conservative candidate Chris Chapham, the head of live content at the publisher Centaur Media, was a distant second in the City and East constituency, which was won by Labour. Former ITN home affairs editor Jennifer Nadal, who stood for the Green Party in West Central, was in third place behind runner-up Mandy Richards (Labour) and Conservative Tony Devenish, who won the seat. London Assembly members are paid an annual salary of £55,161. Thursday's elections across the UK also saw a trio of PR and comms pros take seats in the devolved parliaments of Scotland and Wales. Is London calling for Sadiq Khan?